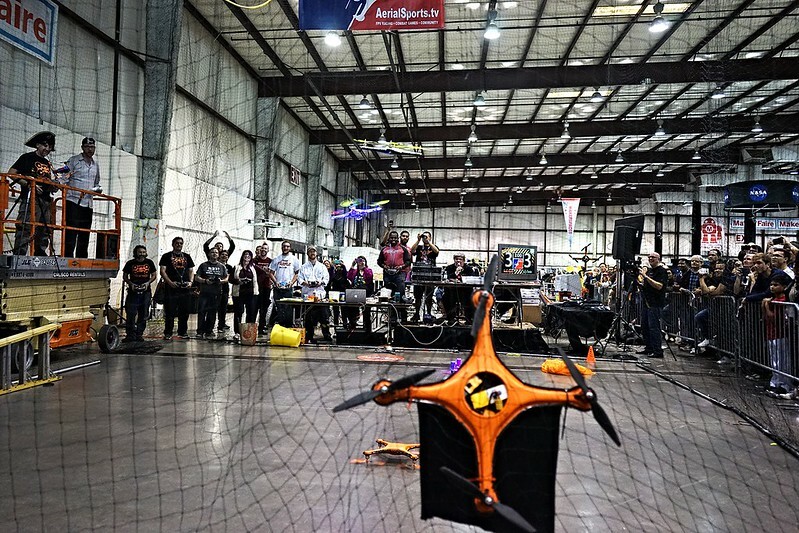 I've made this video from some clips from preliminary fights and final rounds from Game of Drones at Maker Faire 2015. 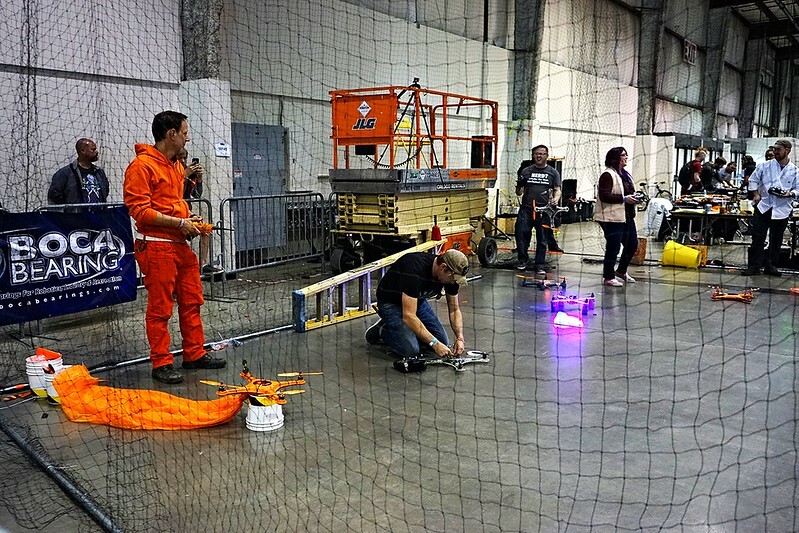 Interview video of Game of Drones at Maker Faire 2014. - Commercial drones (like AR Drones) are not created to fight battles. 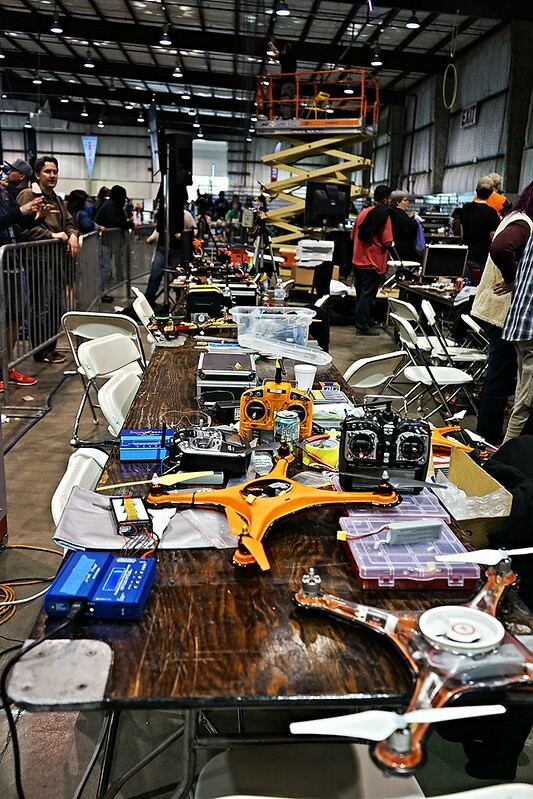 Handmade drones that those team creates are much robust and better chance to win- in the video they show how they slam the frame of the drone to the wall, use hammers to hit the frame, etc and they are okay. 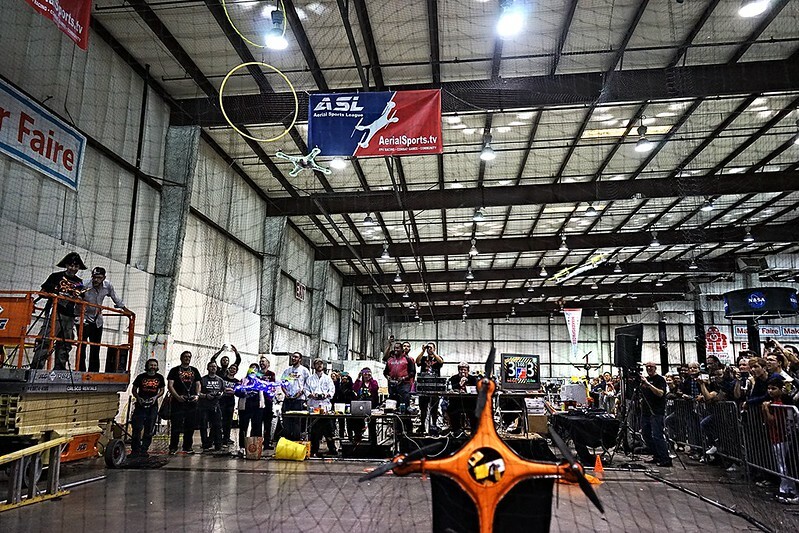 A "Drone Torture" video to show you how durable those airframes are. You shoot it, smash it, put in fire, put in water, crashing into glass, step on it, jump on it, etc. And this is how they "hand-make" some of those frames. Amazing! 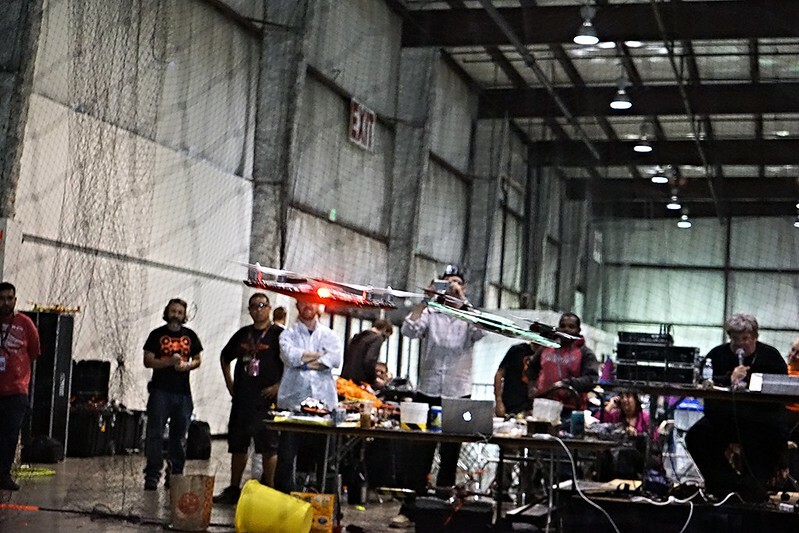 They have instructional videos of how to make drones that can do splash downs.